Happy Monday! So let’s talk about moto jackets. They’re pretty much a staple in my wardrobe. Why you ask? 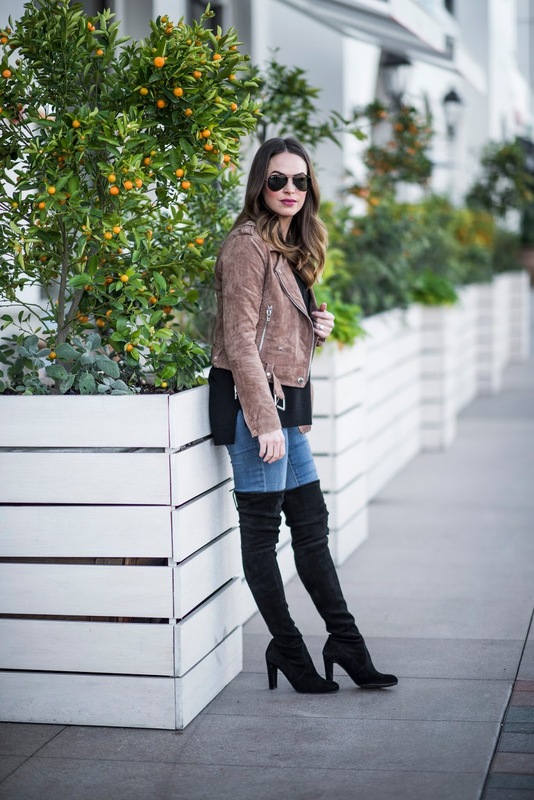 Well, you can easily layer them, they add a warm (but not too warm) addition to an outfit and the texture, depending on leather (I prefer faux) or suede gives your look dimension. It’s like adding sriracha to your eggs…the flavor goes from meh to whoa. 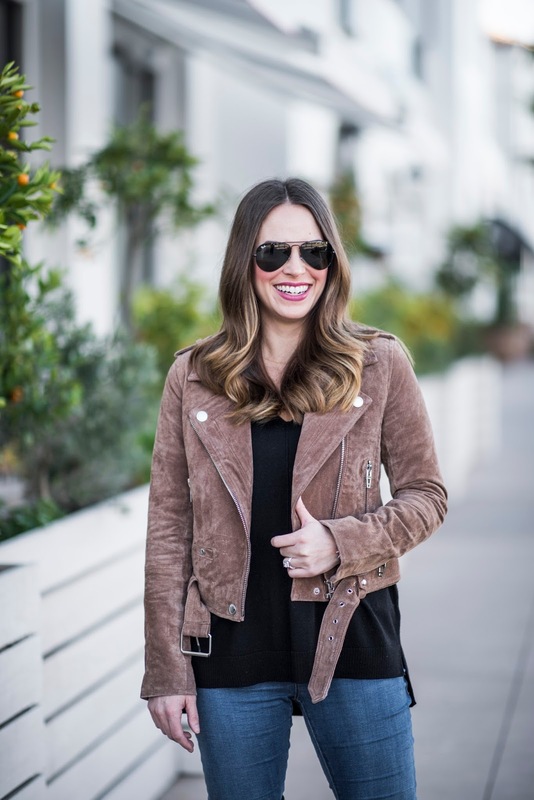 I own three moto jackets (none of which were over $200), and they are ALWAYS what I reach for when I feel like my so-so outfit needs to be elevated. 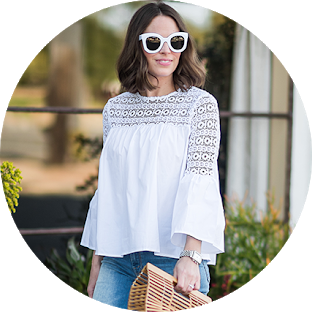 I’d had my eye on this one for a long time and I knew I could trust the quality of the brand because I have a blush pink faux leather moto from the same label that has worn really well over the last year and a half. The only hang up I had was choosing a color because there were so many wonderful options. Ultimately, I chose this cognac color because I felt that it could be worn year round- in Winter as you see here, but also in Spring and Summer layered over flowy maxi dresses. Speaking of Summer, we had a day last week in the mid 70’s and it was so nice to be outdoors in the sunshine. I’m craving a weekend away and plan doing a ‘What To Pack for Your Winter Vacation’ post soon. Ironically, in San Diego, the kids are off school for what is called Ski Week in February however I’m craving sun, not snow this month! Do you have any fun travel plans coming up? Have a great week and as always, thank you so much for following along!